WOW! Look at all this OPEN space! BIG eat in kitchen with new appliances. Opens to large family room. Formal rooms off foyer. 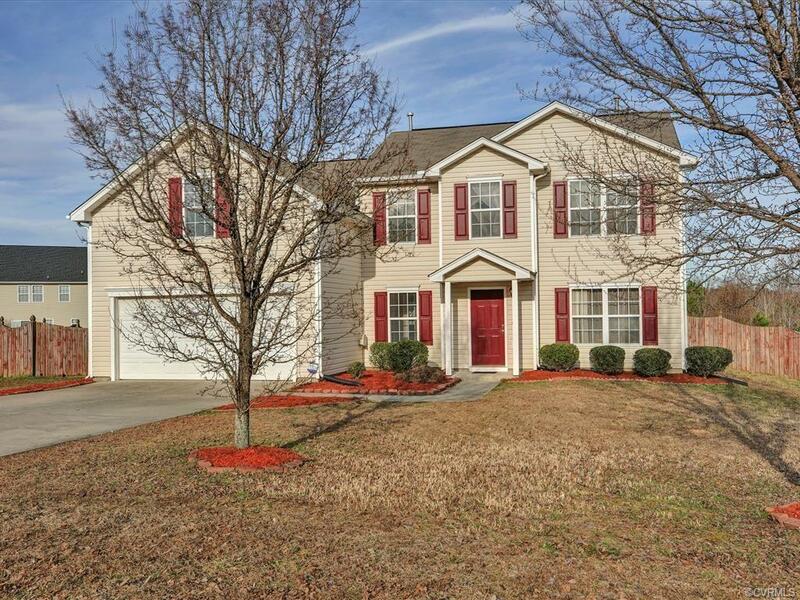 5 bedrooms upstairs including UPSTAIRS laundry room! Master bath features dual sink vanity, shower, and soaking tub! Out the back door is a large deck and THE Basketball court! Everyone will want to play at your new home! Back yard goes well beyond the back fence. Don't wait on this one, or is will be SOLD! Directions: Happy Hill Rd. To Long Meadow Blvd, Left On Long Meadow Circ; Right On Quixton. Home On Left-13425.